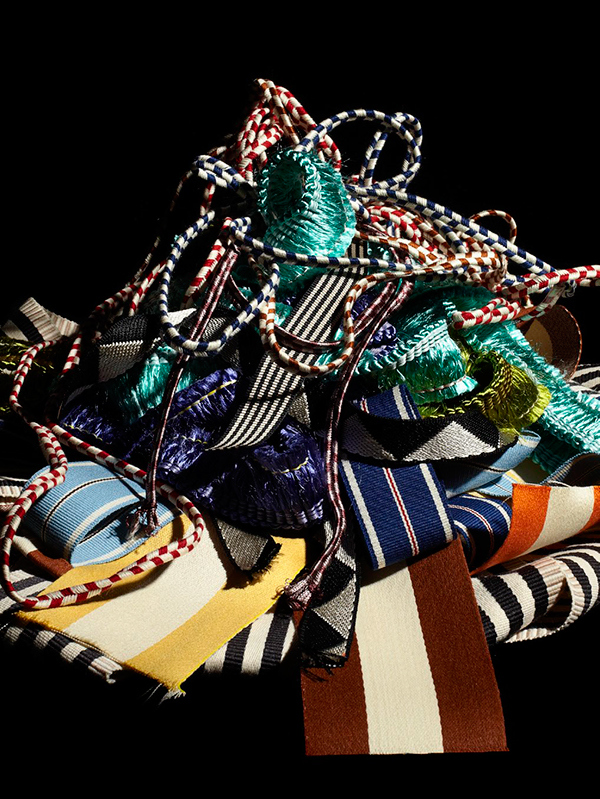 Dedar Milano is an international luxury interior textiles manufacturer producing their own branded upholstery fabrics, as well as producing and distributing the Hermes Collection of interior textiles. 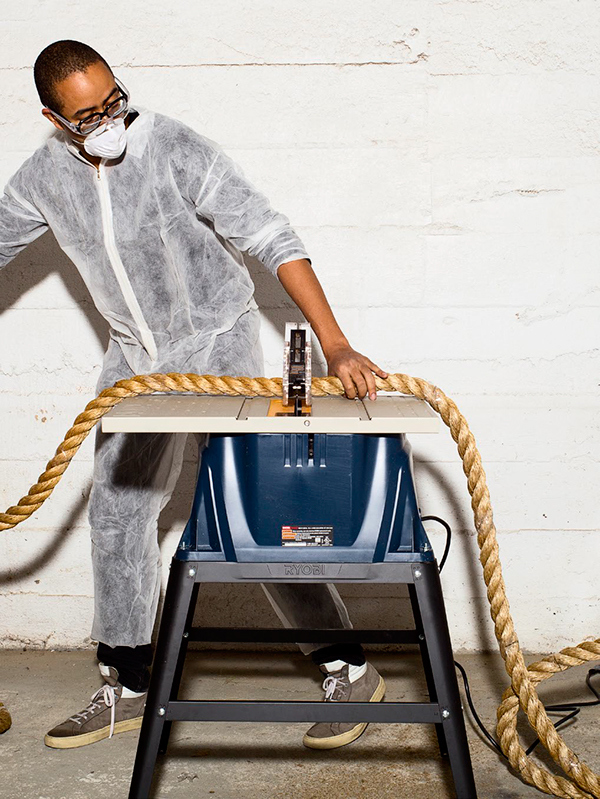 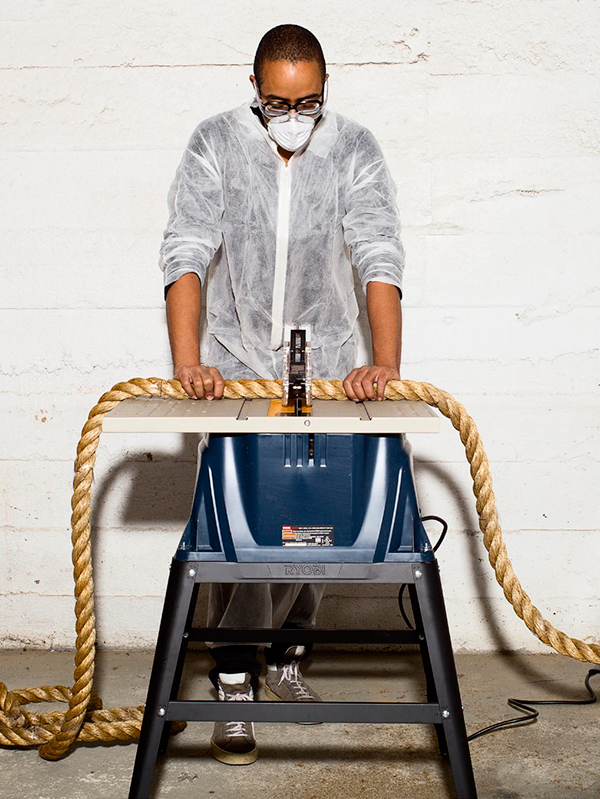 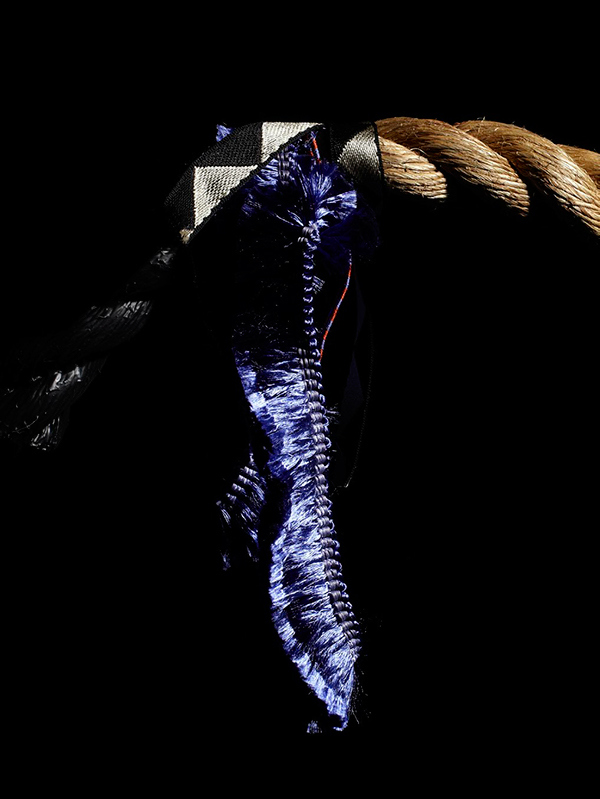 Dedar Roping was a collaboration between Stephen Burks and Dedar Milano’s co-creative directors, brother and sister team Caterina & Raffaele Fabrizio. 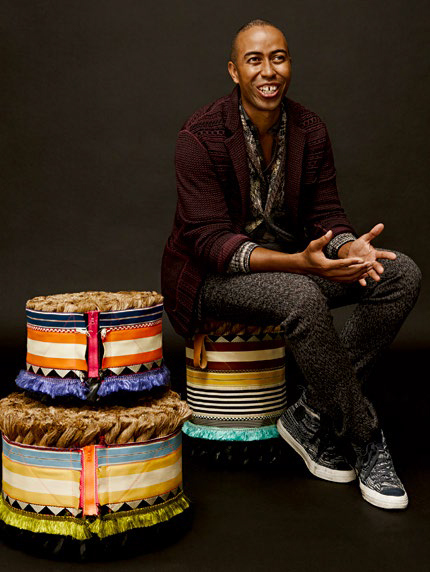 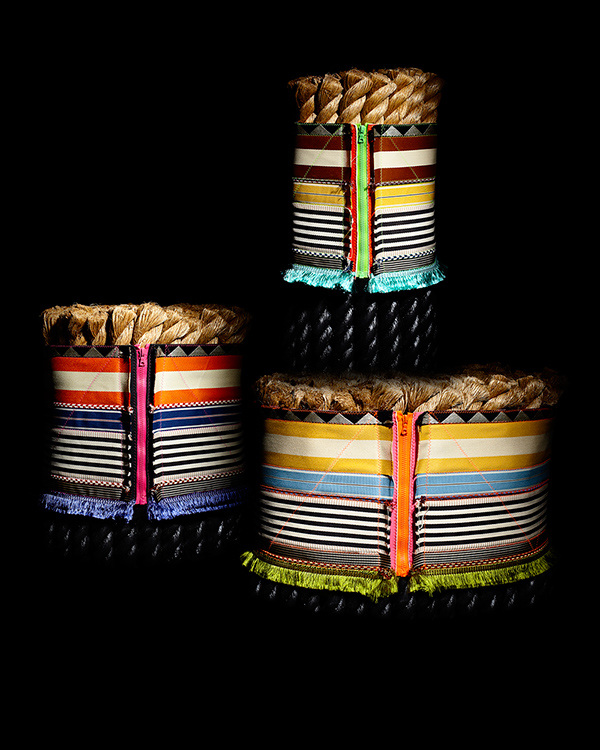 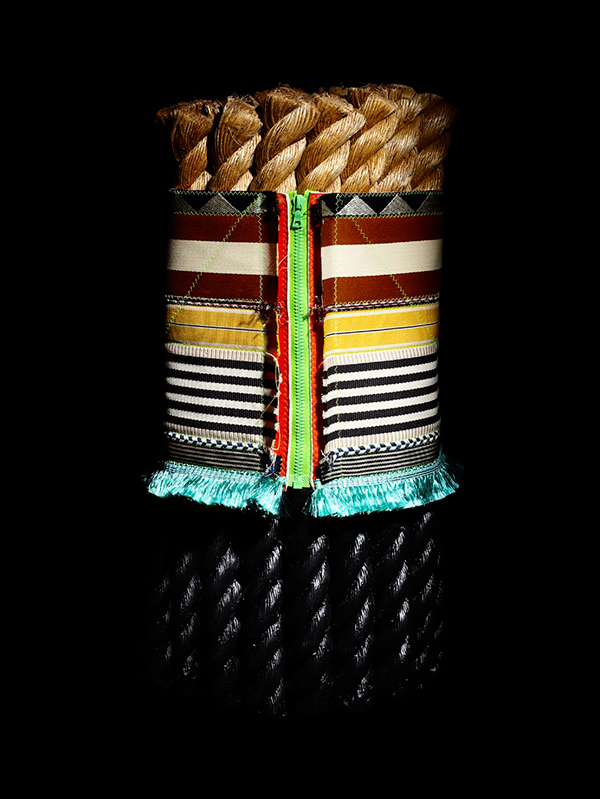 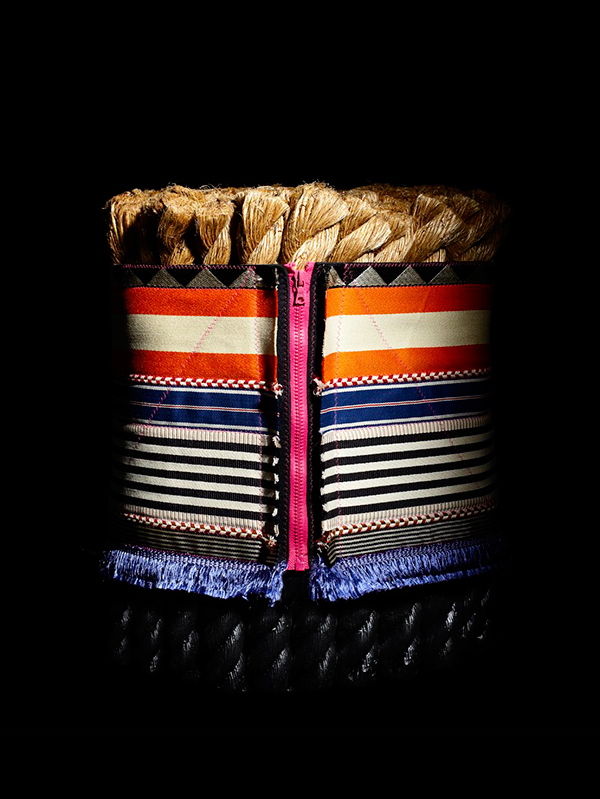 As a means of calling attention to, making original use of and creating extreme contrast to Dedar’s sophisticated textile trimmings collection, Stephen chose to combine a mixed selection of the trimmings with natural rough-cut 3” diameter Manila rope and black rubber dip. 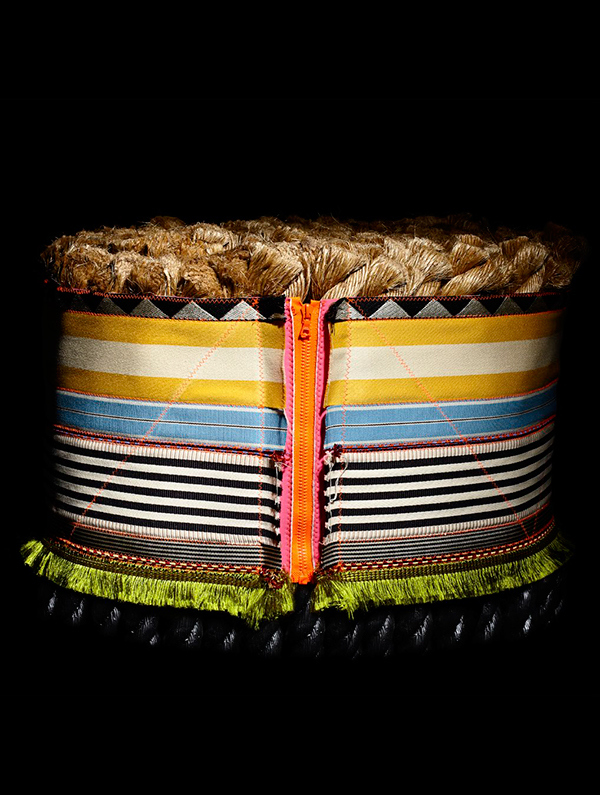 The resulting bespoke edition of three stools were unveiled at Maison Objet at Dedar’s Paris showroom, along with an installation in Milan and finally at Design Miami in collaboration with Cristina Grajales Gallery.